As was to be expected, the opening weeks of 2019 have been dominated by all things Brexit. A day seldom goes past when Brexit is not the top news story, with the Government struggling to a strike consensus on how the UK’s withdrawal from the EU will be managed. While not underplaying the significance of this defining event, it is important not to let Brexit overshadow some of the long-term challenges facing different sectors of the economy. One issue in need of urgent attention is the national housing crisis. 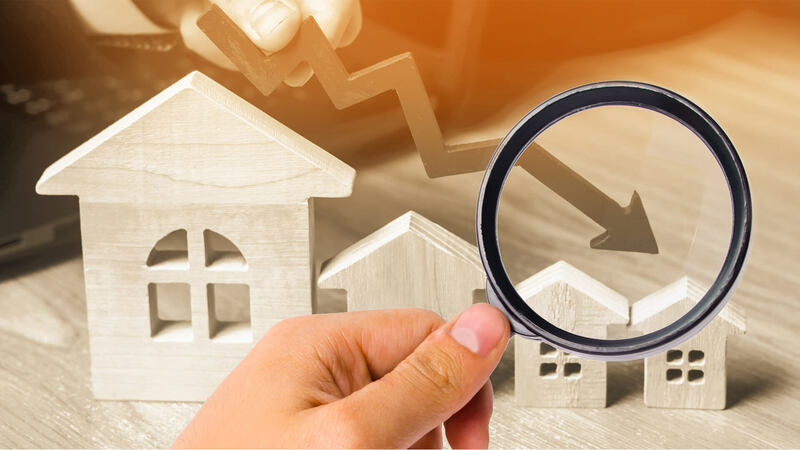 As a whole, the property market has fared remarkably well in light of the political uncertainty – new data from the HRMC shows property transactions in December 2018 were up 3.6% compared with the same month a year prior. Unfortunately, the long-term imbalance between supply and demand has made it more difficult for people to jump on, and move up, the property ladder. The effects of this are already being seen in London, with the rate of house price growth stagnating for the first time in years. Addressing the shortage of affordable housing has seemingly been high on the priority list of the UK Government for decades, and yet the problem persists. With all eyes focused on 29 March 2019 – the day the UK will leave the EU – the fear is that the housing challenges we face will remain in the backseat. At this critical moment, both the private and public sectors cannot let this be the case. Creative action is needed so more prospective homebuyers can access the real estate market. Estimates have put the number of new homes needed in England at between 240,000 and 340,000 per year, taking into account new household formation along with a backlog of existing market need for suitable housing. The Government has made some positive steps in the right direction, ramping up its efforts to encourage the construction of new-builds across the country. Last year, it was also announced that they would aim to introduce 300,000 new homes to the market on an annual basis by 2022; a target deemed seemly unattainable by some industry commentators. To put this into perspective, in 2017/2018 the total housing stock in England increased by around 222,000 new homes. And while this was 2% higher than a year before, it still fails to meet the estimated need. As a result, limited real estate opportunity means that growing numbers of buyers are being priced out of the property market. Clearly, if we are to properly solve the housing crisis, we need to look to new and creative solutions that go beyond just the mere construction of new-build properties. While it is essential that more homes are built that are priced fairly for first-time buyers, solely focusing on new-build developments is likely to result in missed targets and continuing undersupply, as has been the trend in recent years. Instead the Government must work with industry bodies to develop new, creative methods for increasing the country’s housing stock. One potential measure is promoting the refurbishment of derelict and rundown properties. The latest figures show that there are 216,000 homes across the UK that have been empty for the past six months, with more than 10,000 of these sitting abandoned for more than six months. If we are to solve the housing crisis, the focus must turn from simply building new homes to exploring the untapped potential that could come from refurbishing and renovating run-down, derelict properties currently not habitable. Investors have a key role to play here. Rather than letting these properties continue to gather dust, the Government should instead be encouraging real estate investors to pursue quick turnaround projects on these homes, promoting short-term refurbishment projects with the end goal of listing them on the market once more. Such a measure is something the UK public are keen to see introduced. A national survey commissioned by Market Financial Solutions last year found that the majority (79%) of UK adults would like to see the government focus more on supporting the refurbishment of run-down properties to meet housing demand. There’s no denying the impact Brexit will have on the property market in the short-term. However, it is important not to lose sight of the long-term challenges like the housing crisis which has been around for many years. The construction of new-build homes is not the silver bullet that will address the imbalance between supply and demand. Instead, a holistic strategy is required that takes advantage of the country’s existing resources. Property investors have a positive role to play in this regard – not only do they galvanise the market, they can contribute to housing supply through short-term refurbishment projects that bring derelict homes to the market. For this reason, both the Government and lenders needs to ensure investors pursing these projects have access to the capital needed to pursue such undertakings.